If you buy Scrivener 1 for Windows now, you’ll get a free update to version 3 when it’s available! Existing users of Scrivener 1 will be able to purchase Scrivener 3 for the discounted price of $25 when the time comes. Scrivener 3 for Windows will be available sometime in 2018. 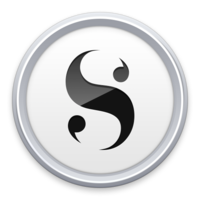 Scrivener is a word processor and project management tool created specifically for writers of long texts such as novels and research papers. It won't try to tell you how to write - it just makes all the tools you have scattered around your desk available in one application. Scrivener provides access to the full power of the OS X text system: add tables, bullet points and images and format your text however you want. Define ranges of text as footnotes and they become footnotes when you export or print. And because the way you view your text onscreen may not always be how you want to see it in print, Scrivener makes it easy to format the printed or exported text completely differently from what is onscreen - leaving you free to focus on the actual writing. Scrivener's Core Concepts from Literature & Latte on Vimeo. No more switching between multiple applications to refer to your files. Keep all of your research - image files, PDF documents, movies, sound files and web pages - right inside Scrivener. And unlike in other programs that only let you see one document in a window at a time, Scrivener lets you view a research document in one pane and compose your text in another right alongside it. The corkboard is one of the writer's most familiar tools. In Scrivener, every document is attached to a virtual index card onto which you can jot a synopsis. Use the corkboard to shuffle these index cards around - which is instantly reflected in the structure of your draft. The outline feature is another way of viewing the synopses and meta-data of the documents in your project. Restructure your work easily; get an overview of the project so far and what still needs to be done; check how many scenes have a certain character as the point-of-view character; read and edit an overview of a scene, a chapter or of the whole draft. While Scrivener is not a replacement for dedicated screenplay software, its familiar scriptwriting features make the basics of formatting a script easy. So you can draft your script inside Scrivener using Scrivener's unique research and structuring tools, and then export it to a dedicated scriptwriting program. And because you can mix up script formatting with normal text, it makes it easier than ever to write treatments. Smile - You Have Snapshots Never be afraid to make mistakes. Scrivener's "snapshot" feature makes it easy to return to an earlier version of your text. Before starting a major edit on a document, just take a snapshot, which stores the old version safely away. You can then call up old snapshots for reference, or restore an older version of the text if you decide you prefer it to the most recent revision. Sometimes you want to blank out the rest of the world while you write - or at least the rest of the screen. Scrivener boasts the most advanced full screen editing mode out there. Fade the background in and out, choose the width of the "paper" and get writing. Prefer an old-school green-text-on-black look? No problem. Flexible preferences mean you can set up the full screen mode however you want. Change documents, refer to your notes, apply keywords - or just write - in one of the most beautiful distraction-free modes available. Finished your masterpiece? Now it's time to get it out there by compiling your draft into a single document: print a novel using standard manuscript formatting; export to Microsoft Word; save as HTML; export as plain text and import a screenplay into Final Draft. Whatever your requirements, Scrivener's export feature is powerful enough that you need do little formatting until you come to export and publish. And for those who want to typeset their own work, Scrivener even supports the MultiMarkdown markup language, which gives those who have more exacting requirements all the power of exporting to LaTeX and XHTML. Particularly suited to writers who don’t always think in a linear fashion, Scrivener is a revolutionary program that will help you manage and complete your next creative project. The interface has been overhauled and modernized. View index cards on colored threads based on label color (great for tracking different storylines or anything else). Scrivener version 1.8.5 requires Windows XP, Vista, 7 (32 or 64 bit) or 8. 1GB RAM; 1ghz; 100mb disk space; 1024 x 786 screen; Internet connection (required for a one-time activation process, prior to registration).